Here is your chance to build your own Minecraft iron pickaxe using these free printable papercraft templates. 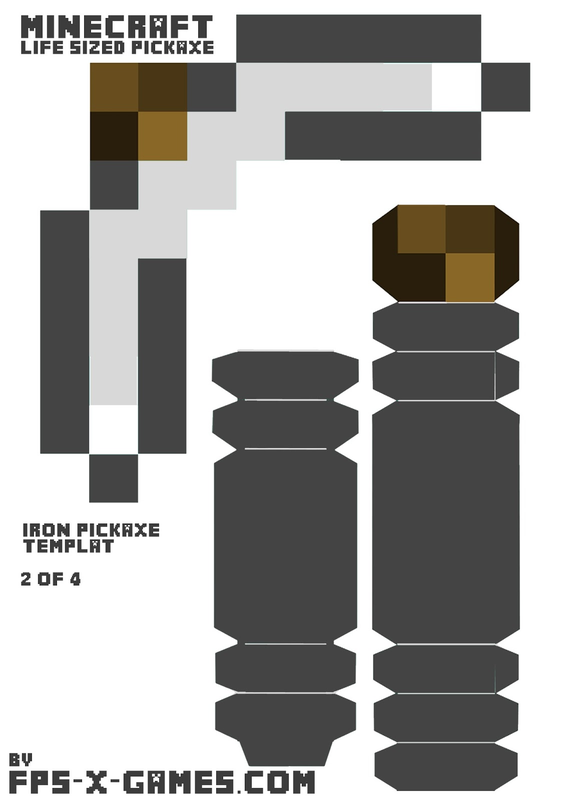 Its the same template system as seen in the diamond pickaxe post but the iron version, you can do it yourself but I decided to do the whole Minecraft tool set to save you some time, wood and gold will follow shortly. Right click and save all template images. 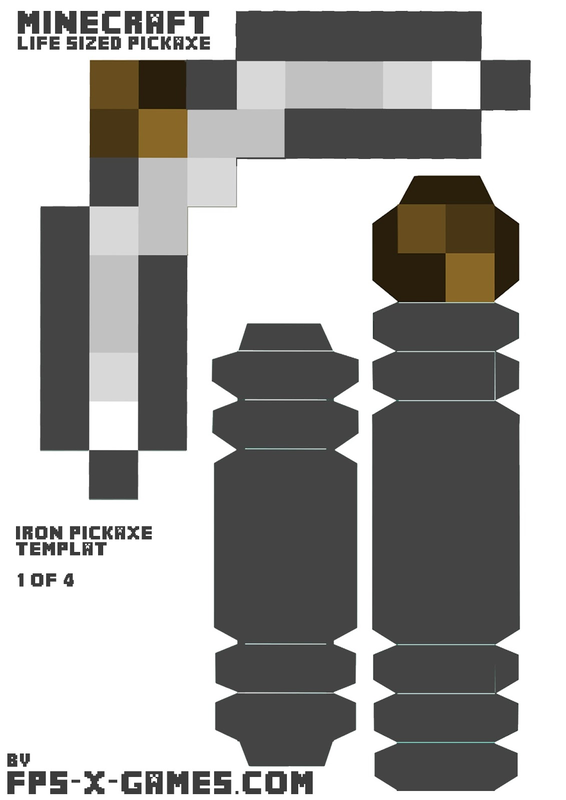 Print out all four life sized iron pickaxe papercraft templates. Its a good idea to use card when printing, I used A4 160 gsm card for the wood stick to give it a matt finish and you could use inkjet photo paper for the iron pick head for a glossy shiny finish. Carefully cut around the life sized pickaxe. TAKE YOUR TIME and DO NOT cut off the tabs on the sides of the Minecraft pickaxe, they are important! 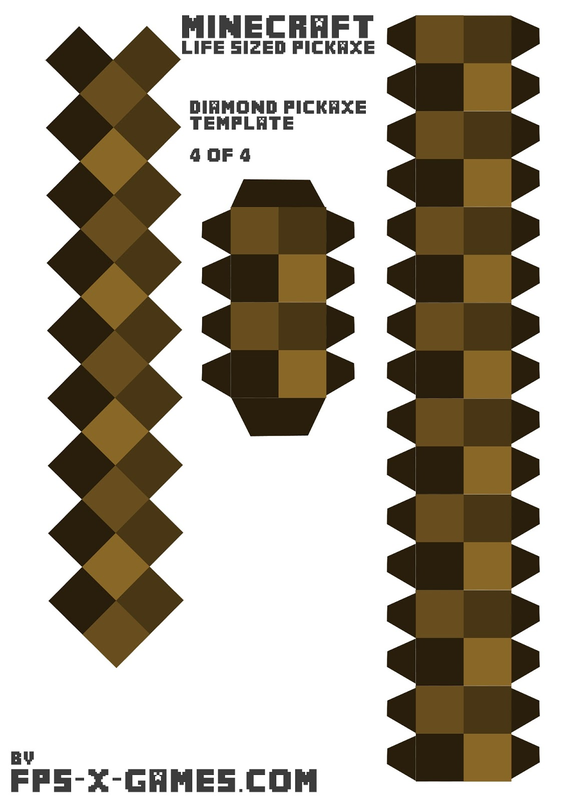 Fold all corners of your papercraft pickaxe cut-out template. Tabs should always be folded inwards. 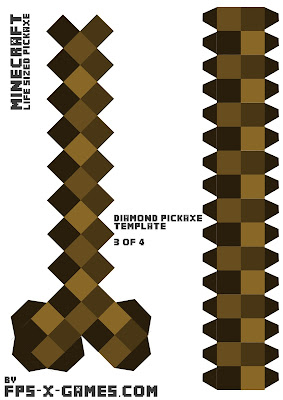 Glue or tape your Minecraft life sized pickaxe together using the tabs! If you need help then please comment below. Final Fantasy 7... for the NES? !